OfficeSpace.com.au is pleased to present exceptional office buildings, situated in highly sought after Melbourne locations including Altona. These premises are available on flexible rental terms with the option of an immediate move in date and all the services you need, without the hassle of a long term conventional office space lease. Altona is a Melbourne suburb that contains a concentration of mixed industry commercial space, with a focus on manufacturing, distribution and petrochemical storage. The suburb is served by three train stations and several bus routes. OfficeSpace.com.au is here to provide an extensive range of competitively priced, professional, fully-equipped office space in Altona, Melbourne VIC on terms to suit your business' requirements. You will be spoilt for choice when it comes to impressive business facilities and professional support services in Altona. We endevor to ensure that the whole process is as easy as possible for our valued clients. Many of the business centres listed on OfficeSpace.com.au come inclusive of an outstanding array of office support services consisting of dedicated front desk reception and building security, conference rooms and lounge areas, dining facilities and break out rooms. In addition, a number of the office buildings also include internet and network wiring, free car parking lots, 24 hour access and on site IT support staff. 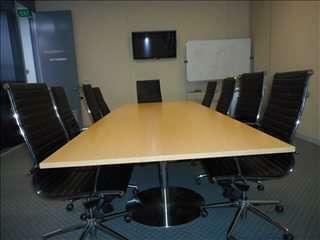 Simply choose any of the Altona offices for rent listed above. All of the offices space and executive office suites are available on flexible rental terms to suit your needs and are located in prime [city] business positions. As well as the office space listed above, OfficeSpace.com.au can also provide a wide selection of executive office suites and coworking spaces in excellent business locations throughout Melbourne and in other cities in Victoria.